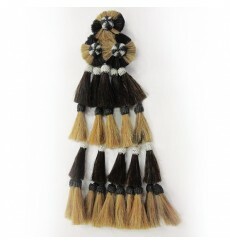 Made with natural hair, cheap mosquero for horse. 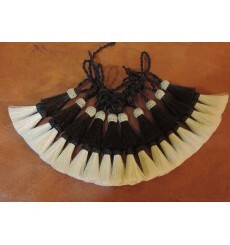 Available with different numbers of tassels (16, 20, 25, 30 or 35) and in various colors. Tie your horse air with our hand made Atacrines. Made with natural hair in different colours. Order your desire colours. 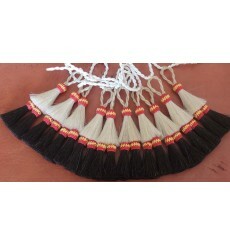 Mosquero for horse rociero, spanish, available with different numbers and different colored tassels. Natural Horsehair fact.